You promise to pay us the principal amount of $3,495.00, plus a time price differential accruing on the unpaid balance at the rate of 9.90 % per year from today's date until maturity. The time price differential accrues on a 365 day basis. After maturity, or after you default and we demand payment, we will earn finance charges on the unpaid balance at 9.90 % per year. You agree to pay this Contract according to the payment schedule and late charge provisions shown in the TRUTH IN LENDING DISCLOSURES. You also agree to pay any additional amounts according to the terms and conditions of this Contract. 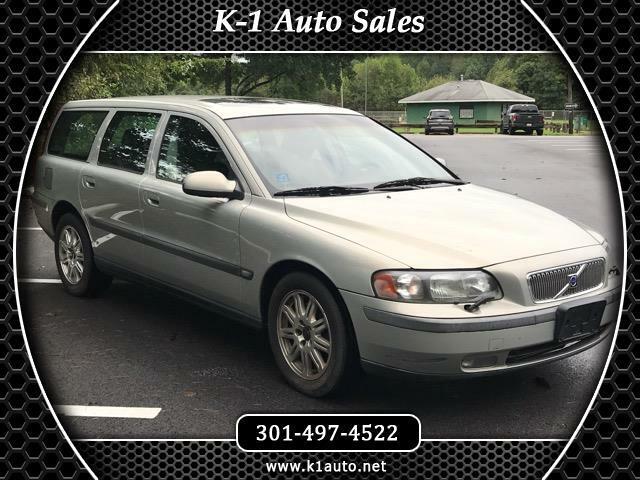 You’re looking at a very maneuverable, functional and powerful Wagon with spacious passenger-hauling capabilities, the 2001 Volvo V70 is a great pick. Not only is it safe, but it is also well-designed, with quality fit and finish and a broad range of cargo handling capabilities This V70 is equipped with a meaty 247 horsepower 2.3-liter inline 5-cylinder turbo engine. Safety features abound, including front/side-body/side-head airbags, ABS brakes, daytime running lights, child safety locks and traction control. Ice cold air conditioning, leather heated seats aluminum alloy wheels dual illuminated vanity mirrors power everything.